A Ghanaian living in France drove over 7k Km to Ghana with his BMW 7. The motive for his journey, Nicholas Afedzie Donkor said was to leave a good legacy for his child and to set world record. “I like to challenge myself especially in driving so embarking on this journey to very exciting” he added. 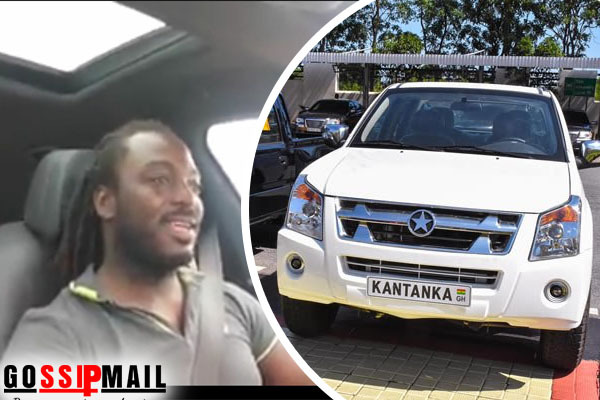 Nicholas is hoping to drive one of the Kantanka vehicles manufactured by Apostle Dr. Kwadwo Safo, founder and leader of the Kristo Asafo Church to South Africa to prove to the world that Ghanaians are also capable of manufacturing very good cars.